Lake Nona Institute is pleased to announce Garmin International, Inc. as a new sponsor for this year’s Lake Nona Impact Forum, which will be held February 2015. 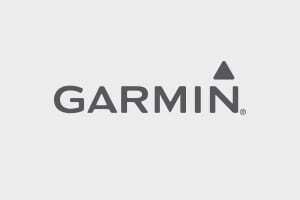 Garmin International, Inc. is a subsidiary of Garmin Ltd, a category-defining company that designs, manufactures, markets and sells fitness devices to help people achieve their health goals since 1989. As a global leader in its market, Garmin is known for its compelling quality and best-value items, including the new vívofit activity tracker. Garmin joins other innovative health and wellness companies including presenting partner Johnson & Johnson; Founding Sponsors Cisco, Edyth Bush Charitable Foundation, Guidewell and Tavistock Foundation; as well as Contributing Sponsors Florida Hospital, Insurance Office of America, Nemours, PepsiCo, PwC, Sanford-Burnham Medical Research Institute, USTA, UCF College of Medicine, and UF Health; and Session Sponsors MediFit and Technogym. On November 11, Healthbox Florida hosted the second annual Innovation Day at Sanford-Burnham Medical Research Institute at Lake Nona Medical City. A vast network of individuals and organizations committed to entrepreneurship in health and wellness innovation gathered to hear presentations from the second cohort of Healthbox Florida whose companies are tackling major challenges in the health care industry. The first place Innovation Funding prize went to peerFit, a Gainesville-based company, for its digital gym and fitness tool. Orlando-based BookThatDoc won second place for its doctor search and appointment web and mobile site. 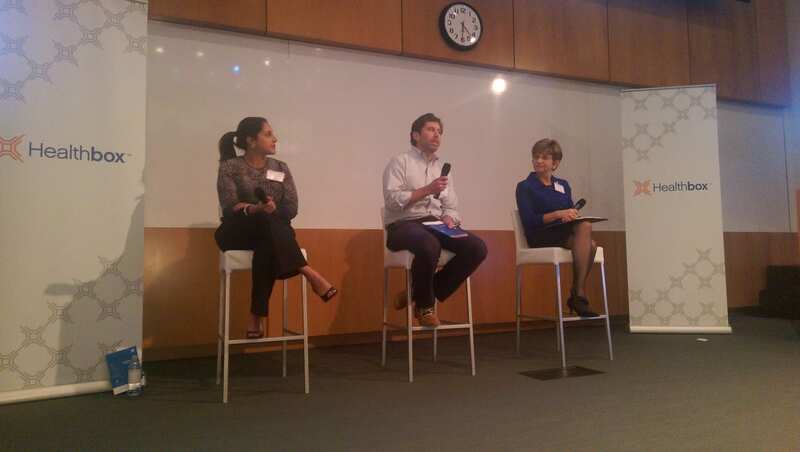 In addition to the entrepreneur cohort awards, Innovation Day also featured panel discussions with leaders such as Groupon co-founder Shawn Bercuson and Deb German, Dean of the UCF College of Medicine. Healthbox is the pre-eminent source of health care innovation driving actionable collaboration amongst inventors, entrepreneurs, and the health care industry. With operations around the world including in Boston, Chicago, London, and Tel Aviv, Healthbox has a strong presence with more than 50 active brands and 20 health care organization partnerships in its portfolio. 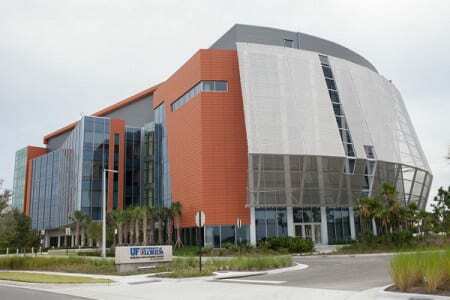 Please join Healthbox Florida at Sanford-Burnham Medical Research Institute for its second annual Innovation Day. 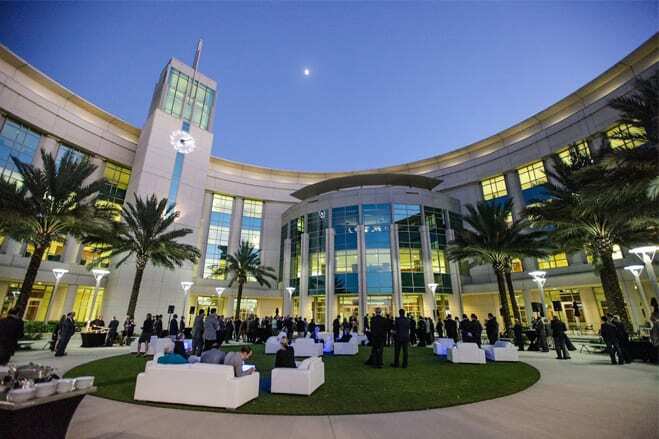 A vast network of individuals and organizations committed to entrepreneurship in health and wellness innovation will gather together in Lake Nona Medical City to support the Heatlhbox mission to unite the Florida health care ecosystem. Attendees will hear presentations from the second cohort of Healthbox Florida, whose companies are tackling the major challenges in the health care industry. These seven companies are led by inspiring entrepreneurs who have been working in Tampa Bay over the last several months in the Healthbox program. To find out more about Healthbox, you may visit their website at www.healthbox.com. The Lake Nona Impact Forum is committed to unlocking innovation to create sustainable health communities and advance quality of life by exploring the intersections of wellness, sustainable living and education. An invitation-only event, the Lake Nona Impact Forum convenes 200 thought leaders from business, academia, government and industry who are driving creative, innovative health and wellness solutions. 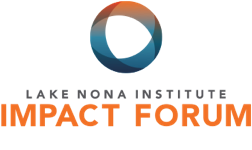 Committed to Inspiring Health Innovation, the Lake Nona Impact Forum creates an intimate experience for thoughtful and collaborative conversation that will lead to action. The event is set in Lake Nona, a 7,000-acre integrated community that is home to one of the fastest growing life sciences clusters in the nation and is a model for the design of a comprehensive healthy community. How businesses and communities can serve as performance coaches to get results. We all have a vested interest in keeping others and ourselves healthy and productive. Unfortunately, this is becoming an increasingly difficult task to accomplish, as both chronic disease and the cost of healthcare in the United States continues to rise. It is clear that we need a new direction if we’re truly going to solve this healthcare crisis. 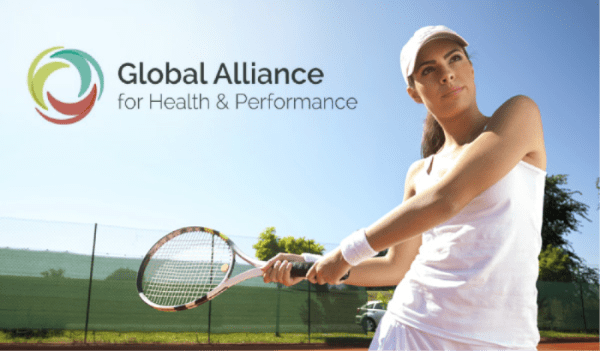 We invite you to take one hour of your day to open your mind to a new approach to healthcare that stems from learnings through the field of sports. What if you could play the role of performance coach to the individuals you serve and help drive the health outcomes you’re looking for? What if you helped individuals focus on managing their energy, rather than giving them the often overwhelming task of managing their health? Join Dr. Fik Isaac, MD, MPH, Vice President, Global Health, Johnson & Johnson; and Thad Seymour, Jr, PhD, President, Lake Nona Institute on how business and communities can successfully play the role of performance coach to drive health outcomes. Discover how we can work together to influence an individual’s health and performance on multiple dimensions. Some of the new technologies used in the medical field today sound like science fiction, but they are, in fact, very real. And they are flip-flopping the industry like never before. Remember back in 2000 when the human genome was sequenced? Doctors had painstakingly lined up all 6 million base pairs of an individual’s DNA. It was, no doubt, an amazing feat. In fact, it was heralded as something that would revolutionize the way we diagnose and prevent human disease. One huge hurdle, of course, was cost. That first genome took 15 years to create, and the price tag was a whopping $3 million. Fast forward to today, though, and we can now sequence a human genome for about $1,000 in a mere 24 hours. It’s a remarkable technological advancement, indeed. And it’s one way that technology is beginning to provide more individualized care. As the chair of individualized medicine at Florida’s Mayo Clinic, he is making strides when it comes to personalizing care for patients. So, this begs the question. How exactly do we leverage what we know about the genome now, more than a decade later? Regenerative medicine is one answer. Over the next few decades, this innovative new field will likely transform the way we approach and treat diseases. As waistlines continue to expand at an alarming rate, how do we begin to tackle the weight-gain pandemic? Dr. Samuel Klein takes obesity every seriously. And he should. After all, it’s his job and main focus 24/7. As the director of the Center for Human Nutrition at Washington University School of Medicine, he is a leading researcher on obesity. And there is, no doubt, plenty of research to be done. Unfortunately, we don’t yet have a clear understanding of this disease, so that can make it difficult to treat. Sadly, obesity has become one of the top public health issues facing the nation and the world today. In fact, this year, obesity was designated as a chronic disease by the American Medical Association. With that said, it comes as no surprise that diabetes is the main driver of health care costs in the U.S. In fact, the total cost is a whopping 234 billion, according to Wang. And more than a third of American adults and nearly one child in five are now obese, according to the Centers for Disease Control and Prevention. What’s frustrating, though, is that “95 percent of Type 2 diabetes is preventable by practicing healthy eating habits,” Wang said. What’s worse, is that is has now moved into the pediatric population. “We’re seeing children with not Type 1 but Type 2,” Kelly said. Clearly, it will take a multidisciplinary approach to solve the massive problem. How did we become so fat? To fully comprehend what comes next, we must first look at the past and how we got where we are. One problem is the fact that it doesn’t take very much to become obese in the first place. The environment we live in, for starters, makes it very easy. We are all genetically predisposed to become obese. We were geared to be in a very harsh environment. And it’s not just Americans. More than 100 million people in China now have Type 2 diabetes, according to a comprehensive survey published in the Journal of the American Medical Association. This means diabetes is now more prevalent in China than in the U.S. But if you glance back at China a few generations ago, that didn’t exist. As they move toward an urban society, there have been changes in their eating habits. It truly is a global issue. However, we are starting to see people taking action. New York, for example, has continued to try and ban large, non-diet sugary beverages. How do we fight back? “While obesity itself may not be lethal, the complications that it drives truly are lethal,” said Kelly. It is now, in fact, the leading cause of preventable death. One reason for this is because it drives heart failure and numerous other conditions ranging from stroke and hypertension to osteoarthritis and sleep apnea. So where does that lead us? Could we harness the power of the genome to help solve this problem? Could gene discoveries help us to take actions that would reduce Type 2 diabetes in the population? One thing we do know is that objective monitoring and positive feedback play a key role in the grand scheme of things. Whether it’s the genome or the metabolome, to learn more would allow the patient to get the feedback that they need. And many experts agree that this could have potential for behavioral modification and weight loss. It’s a very complex problem, indeed. There are many irons in the fire because we know it’s an extremely complicated disease. While it’s crucial that we continue to focus on the science of the matter, it’s equally important for physicians to have a clearer understanding of obesity, too, so they can counsel patients on ways to lose weight. Oftentimes, physicians are not trained in the treatment of obesity. However, they essentially are the quarterbacks for Type 2 diabetes. Take the cell phone, for example. In many parts of the world it could, in fact, be a great diabetes management device. The key is: How do we use it to reinforce good behaviors? At the end of the day, of course, there aren’t any silver bullets. It’s a multi-factorial problem. And sometimes it boils down to simple programs. For instance, how do we get people to take the medications that have been given to them? And, more importantly, do we know which medications are the right ones? We’re going to have to tackle a lot of these issues just given the magnitude of the problem. Looking into the future, it’s important to really understand what causes people to adopt certain behaviors. This is really where the solution’s going to be. How exactly do we tackle this across the board? How do we come up with better ways to prevent or treat obesity and obesity-related diseases? Many agree that a widespread campaign could help change behaviors. Think about what helped drive smoking rates down from 40 percent to 20 percent. Remember when the government banned tobacco ads from television in the 70s? After that, tobacco taxes hiked up. The nicotine patch eventually was created and smoking was banned in many public places. Just like it took decades for smoking rates to go down, obesity cannot be cured overnight. But there is certainly hope in the long run. There is such a huge focus on this issue right now that we’re bound to make strides at some point. In other words: “This will actually be a very exciting time to be obese,” said Klein. We are, no doubt, facing tough times in health care today. But is it civil war or is it evolution? Imagine being a medic on a battlefield. Your patient has lost his right hand and is bleeding profusely. But consider this: what if you could instantly stop the bleeding by artificially creating a scab? Well, that may become a reality sooner than you think. In fact, Johnson & Johnson is testing a product right now that can do this. And it’s just one example of what one company is doing in terms of health care innovation. To really move the needle, though, experts say it will take a collective effort, not just from medical professionals, insurers and researchers across the board, but from the American public, as well. And now’s the time to do it; finding solutions like this has never been more crucial than it is right now. That said, Johnson & Johnson has a huge focus on innovative thinking. The company is doing things with lenses on the eye that are “borderline bionic.” They are making inroads in anesthesia. And when it comes to colonoscopies, they have developed a computer that, in real time, measures Propofol levels and lessens the amount of time you have after procedures, reduces the costs of having an anesthesiologist and improves the standard of care. And the Medical City is certainly a beacon for hope. “Because our community dared to dream big, Lake Nona has become a model for the nation,” he said. And we can certainly learn from those already leading the way. Take Mark Verstegen, for example. He launched API-Core Performance. He addressed what can we learn about proactive health and performance from elite athletes. We marvel at their seemingly superhuman prowess, as well as their determination, motivation and their ability to recover. What is it about their training that could apply to the rest of us seeking optimal health? Up next was Kevin Plank, CEO and founder of Under Armour, who continued the conversation about entrepreneurship and proactive health. CNBC’s Scott Wapner introduced Plank as a guy who “literally turned his sweat into a $2 billion business.” Today, Plank’s focus on innovation empowers not only athletes but everyday people who strive for healthy living. The panel discussion focused on “the person” – the consumer, patient, caregiver — and how we inspire this person using technology to change their lives. The main question here is: Can you change the health of the population with a return on investment that makes sense for an organization? The biggest problem we have, of course, is medical costs, which are constantly soaring across the country and world. “The only way we can bend this curve to flat, is if we can decrease the influx of chronic disease,” said Michael Roizen, Cleveland Clinic Chief Wellness Officer. “We have the most disease in the world between ages 55 and 65 years old.” The four factors causing this are tobacco, food choice/portion size, physical inactivity and stress. Stress is the most important factor. Roizen told the audience about a case study of a patient who was able to lose 43 pounds, control his type 2 diabetes and get rid of his osteoarthritis. Part of the success was due to personal touch formed through email updates. “It was our way of nudging him,” Roizen said. And the combination of technology, care and consistency worked. The patient’s healthier lifestyle saved $30,000 direct costs because of the foods and health issues he avoided. He also engages patients by using MyChart, where they can review suggestive care maneuvers, book doctors appointments, etc., and Wellness Widget, where patients enter their own data on an iPad. He immediately wanted to pass along this discovery to others. So, he built the first Canyon Ranch resort in 1978. “Most people don’t realize how empowered they will feel if they live a healthy lifestyle,” he said. How did he turn his newfound passion for wellness into a respectable business model? In 1980, the world shifted a lot, Alex Friedman, chief investment officer of UBS, began. There was a big push to revitalize the economy. And it worked. America started borrowing more. By 1987, “It felt like the sky was falling,” he said. And by 2008, when the housing bubble burst, things just got worse. Now, as the economy recovers, the climate is just right for innovators and entrepreneurs. Innovation is creating jobs and igniting economic growth.